Reflecting on his participation in an interfaith retreat led by Gingko and the LSE Faith Centre, Mohammed Gamal Abdelnour, graduate of Al-Azhar University, Cairo (the prestigious centre of Sunni Islamic learning), considers the Muslim-Christian encounter and how this has better informed his understanding of his own religion as well as Christianity. I had always thought of inter-religious dialogue as a practice that ran the risk of compromising your own faith. However, I had a curious mind that was never satisfied with one side of the story, hence studying Christianity at the University of Durham after graduating from Al-Azhar University, Cairo. Although I had great exposure to Christianity at Durham, it was a monologue to a large degree, and this necessitated the need to have some sort of dialogue. Since graduating in 2014 I have embarked on this journey of dialogue. My participation in the Gingko Fellowship came at a good time for me to banish my earlier concerns. With the passage of time, the dialogue that I have had with my Christian brothers and sisters has largely deepened my understanding of not only Christianity but Islam as well. That is to say, I came to reflect on my own tradition and reconfigure certain aspects of it that weren’t previously clear to me. 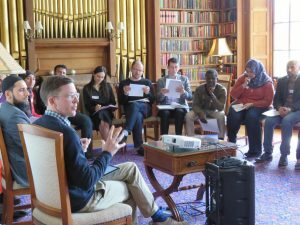 The retreat was an initiative led by Gingko, directed by Dr Barbara Schwepcke, with support from the LSE Faith Centre, directed by the Revd Dr James Walters. 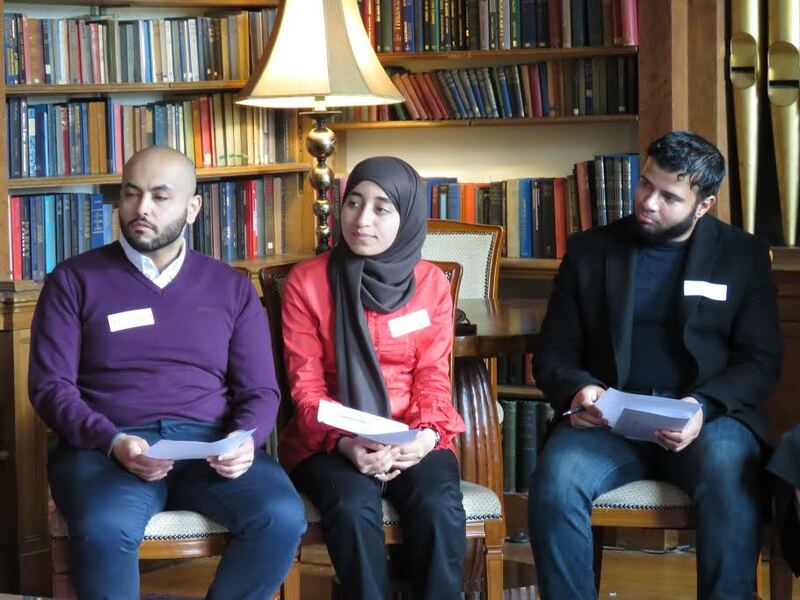 The retreat brought together 18 PhD researchers: nine of these researchers are graduates of Al-Azhar University, Cairo (six of whom are current PhD candidates in the UK) and the other nine are UK-based PhD researchers majoring in different branches of Christian-Muslim relations. 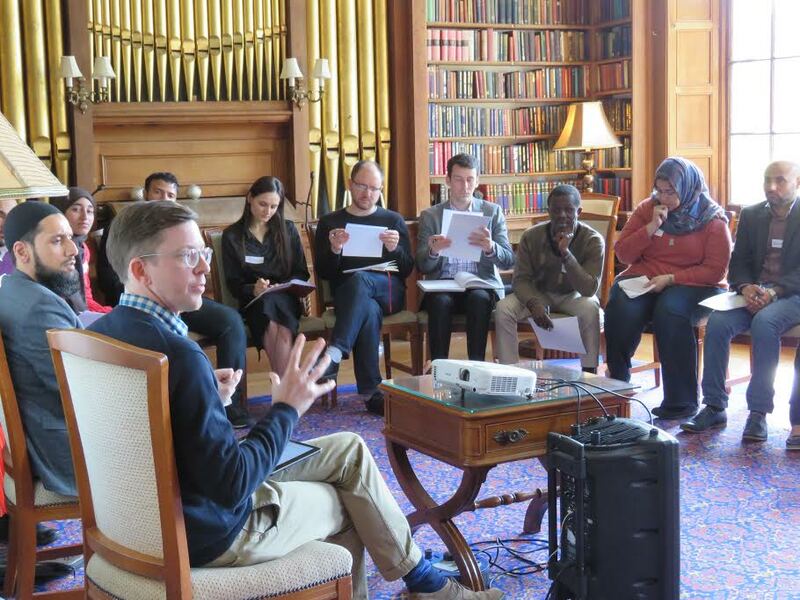 Indeed, the amount of academia that was put into this retreat meant that it was a serious step towards taking inter-religious discussion beyond the fluidity of dialogue to the solidity of academia; a step that I like to call academizing the inter-religious dialogue. We were joined by lecturers from the two faith traditions. Dr. Joshua Ralston, a scholar of Islam and Christianity at the University of Edinburgh, gave a talk on Muslim-Christian relations. His talk had an immense impact on the attendees. He stressed the importance of tackling Muslim-Christian relations from an inter-disciplinary perspective, with the aim of deepening our understanding of the two traditions with an eye on the lived life. Further talks by Dr Walters and Imam Asim Hafiz touched upon the need to link academia to real life. 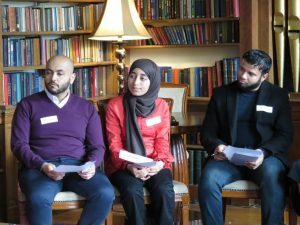 Reflecting upon the life of Jesus Christ as well as that of the Prophet Muhammad, the speakers illustrated that we live in a time in which people seek knowledge with the aim of having a practical role to play in real life. Yes, knowledge for knowledge’s sake is something valuable, yet the critical time we live in today necessitates that our lives should be informed and shaped by our knowledge. For me, the retreat had three major components: understanding, learning and growing together. I came to appreciate more the value of understanding other faiths and taking the fear of compromise away from my subconscious. I would even say that not engaging with people of other faiths might cause the compromise that one tries to avoid. In other words, by getting involved in inter-faith dialogue one gets to know that such dialogue makes one more aware of the subtle differences and dichotomies between his/her own faith system and that of others. I believe that in every challenge there is an opportunity. That is to say, when I first came to the area of Christian-Muslim studies I had always found it quite challenging, especially when we take into account the fact that the history of Muslim-Christian relations was primarily based on either polemics or apologetics. Yet sincere efforts in such an area meant that this challenge can instead be an opportunity for both traditions. Here I recall the British Ambassador to Cairo’s statement at last year’s Religious Imaginations conference: religion should not be a problem, but rather a solution. Last but not least, this retreat left me with the impression that the old concept which links inter-faith dialogue to the practice of detecting commonalities between different religions is not the only possible scenario and outcome of inter-faith encounter. Inter-faith dialogue can instead be an experience of offering fresh thoughts on differences as well as commonalities. Detecting such differences can help us to have better disagreements and constructive conversations. Mohammed Gamal Abdelnour is a tenured faculty member at Al-Azhar University, Cairo, majoring in Comparative Theology. He is currently doing a PhD at SOAS University of London with one of the British Council’s Al-Azhar Scholarships.